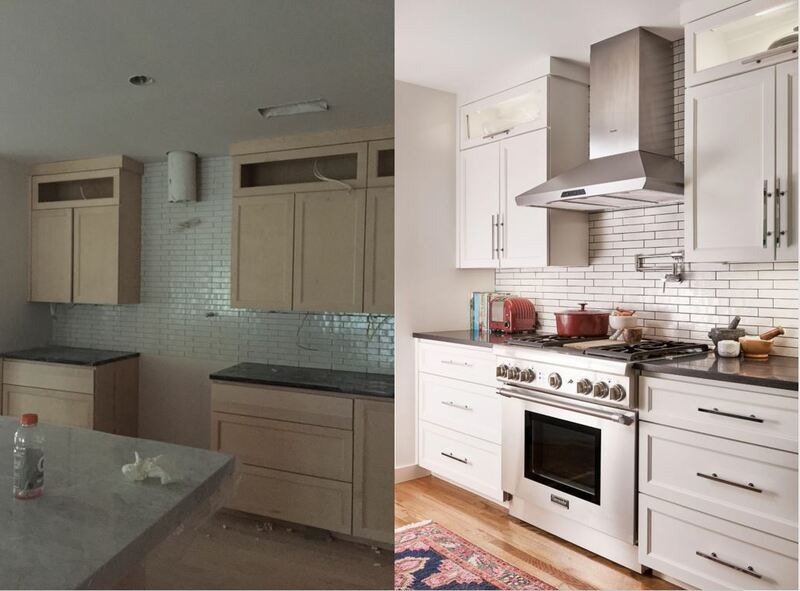 We are thrilled to share accomplished interior designer Carolina Gentry’s all-Thermador kitchen in Dallas, TX! 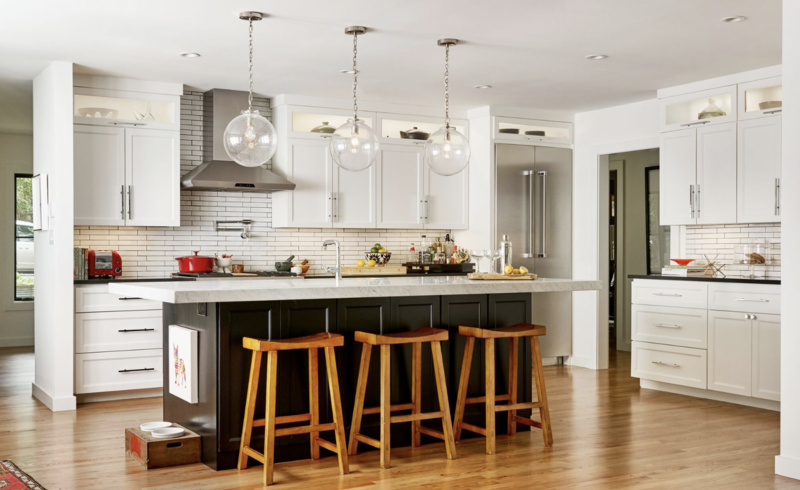 In her stunning home renovation, Carolina chose to incorporate a suite of Thermador appliances, natural wood floors, modern light fixtures, and beautiful black and white countertops and cabinets. Read about Carolina’s exceptional design and where she gathers inspiration below. 1. First off, tell us about this fabulous kitchen. Was it a long time in the making? My husband and I renovated our home and knew we wanted to enlarge the kitchen. We love to cook and entertain so we needed plenty of space for people to gather and hang out. Since we were used to living in a loft for so many years, we definitely wanted an open concept for the living and kitchen spaces. We are not super-trendy people so we wanted it to be a classic white, which would allow the kitchen to stand the test of time. 2. How would you describe your design in three words? 3. Before starting to design a space how do you wrap your head around the project? Do you create a strategic plan or vision board? Is it different when you’re designing for yourself vs a client? We’d love to hear about your process. Being a professional interior designer means I am my worst client. I see so many beautiful things every day that make it difficult to make a decision for myself. I did my best to treat it like a normal project. I started with images I liked from various publications and Pinterest, of course. My husband (the real client) and I went to several showrooms and pulled different palettes and finally narrowed it down to a couple to choose from. The one thing we did know is that we wanted it to be neutral and have Thermador appliances. Naturally, I bounced ideas off my dear friend and Pulp Design Studios business partner Beth Dotolo. It’s what we do all of the time! 4. Did your Dallas roots play a part in any design inspiration or elements within this space? We’d love to hear details. I was honestly inspired by some of the amazing projects we get to create for our clients and our own personal tastes. Having the Dallas Design District in your backyard doesn’t hurt, either. It is a fantastic source of inspiration for all of our projects, including my own home. 5. Did any other local or travel-inspired details come into play while you were designing or styling this kitchen? Is there a travel destination that has made the biggest impact on your style? My mother is from Mexico, so I do have some pops of color and pattern in textiles, pottery, and books that remind me of my childhood. I think I’m just naturally drawn to all things Latin. 6. Which Thermador products did you incorporate in this kitchen? How did you choose each Thermador appliance? My parents have Thermador appliances and we have always loved them, so we wanted some for ourselves. And of course we have used them in clients’ homes, so we knew they were the right choice. We did go to several showrooms and checked out other options but kept coming back to Thermador and I’m so glad we did. All of our appliances are from the Thermador Professional Series: the dishwasher, a refrigerator with the French door bottom freezer, a 36-inch gas range with a built-in griddle, and an under-counter double drawer beverage refrigerator. They don’t disappoint! 7. Which Thermador appliance was your favorite to include in this kitchen? Was there one appliance that helped tie the whole space together? We love the under counter refrigeration center the best! I’m pretty sure it saved our marriage … ha! We always have a lot of mixers and beverages on hand, so we didn’t have enough space in the refrigerator for all of our fresh food. We don’t freeze any of our food, so we needed more space in refrigeration. The under-counter refrigerator is perfect, especially over the holidays! It has various settings for pantry, fridge, and bar, so you can also store food in it. And it’s the perfect kiddo height, so they can serve themselves. It is amazing! 8. How do you picture this space functioning during holidays or parties? Are there any special touches that stand out to you? The island is the heart of the kitchen and it is party central for all of our entertaining. We strategically had it built so you could sit all the way around three sides and have plenty of space for displaying food and drinks. We added a long trough sink, which we fill with ice, beer, wine and champagne when we’re entertaining. It’s the best place to hang out during parties! 9. How did you go about making accent choices? Can you describe the details like light fixtures, tiling, paint, wood stains, or other original accents? My husband and I went to so many showrooms together. Even though I’m the designer in the family, he lives here, too, and had an opinion … well, lots of them! We pulled so many options and finally decided on a monochromatic kitchen that we could accent with pops of color through accessories. We didn’t want to be tied down with anything too trendy. The kitchen is black and white with natural wood floors and chrome accents. The pendant lighting is very simple. We love seeded glass and didn’t want anything to look too heavy or block the view into the living room when entertaining. All of the hardware is in a chrome finish to add some shine and modernize the cabinets a little. Overall, it is very simple and classic. 10. What was your favorite part about designing this kitchen? As always, seeing the space come to life is the best part of a designer’s job. The beginning is always exciting—figuring out what you need and how to fit it in, selecting the finishes, etc. The construction, on-site decision-making and everything in between can be challenging, but allows you see the light at the end of the tunnel. The grand finale is always the best! Seeing your vision come together makes it all worth it in the end! 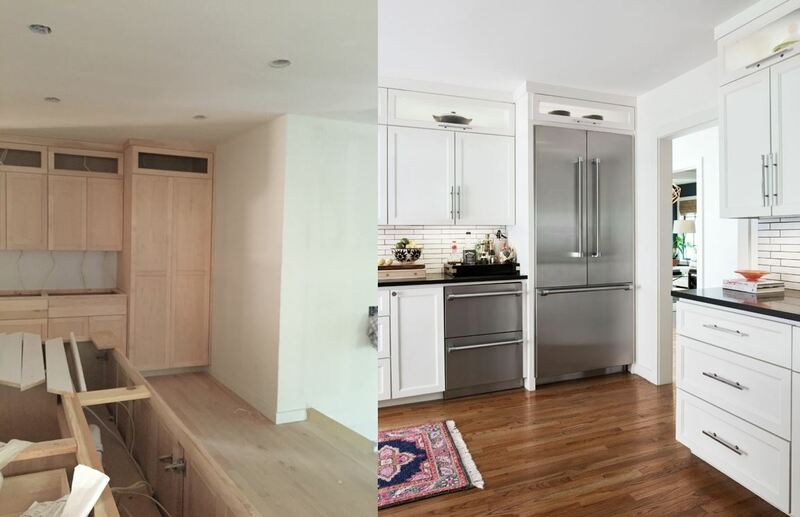 What’s the biggest change you’d make in your home during a renovation? Share your thoughts with us in the comments or on our social channels: www.facebook.com/thermador, @ThermadorHome and @Thermador.